Textile racks are mostly customized racks that are made to suit the requirement of the products that will be on display. Some are hanger systems while others are rack systems. While the hanger systems are commonly used to display fast moving clothes, the rack system is used to display stock of the same type, pattern or design. These racks help to display clothes in proper order that will help in easy arrangement and retrieval of goods. Adequate Steel offers exclusive racking solutions that provide the ideal storage systems for textile showrooms. There are different attractive designs with varied storage capacities. Adequate Steel manufactures and supplies garment rack systems under the expert guidance of designers and talented professionals using high quality raw materials that lives up to international standards. These multi-purpose racking solutions from Adequate Steel are well suited for textile, commercial laundries, boutiques and retail garment outlets. Adequate Steel offers a wide range of display garment racks for a comprehensive storage solution at a competitive price. The sophisticated design ensures that all the garments in the showroom can be comfortably stored and displayed without occupying much of floor space which is very essential in showrooms as it is important to give proper movement space for the walk-in customers. 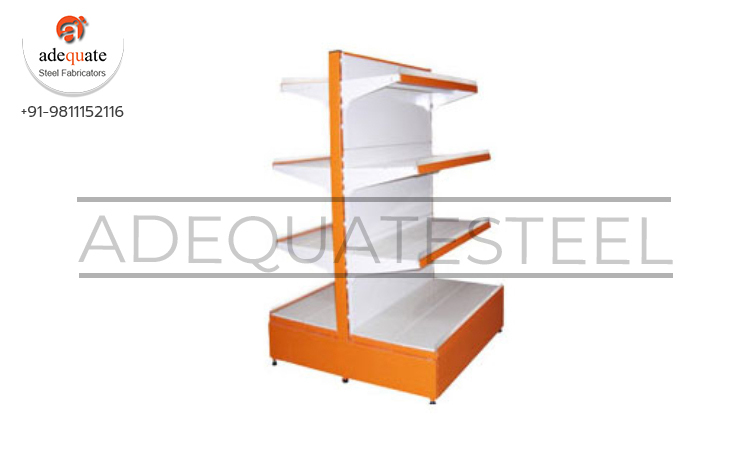 All the racking solutions provided by Adequate Steel are stable, durable and sturdy. The racks are appreciated for the fine finish and the varied choices to suit differential needs of the clients.